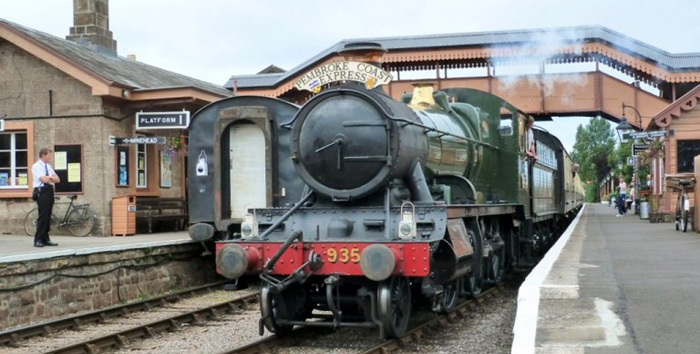 Williton Station achieved runner up in The Best Kept Station Competition held this July. Hard work on buildings refurbishment, fencing repairs, miles of painting, café service, customer care and beautiful flower baskets showed the station to great advantage, convincing the judges of this high status among we ten competitors on the line! 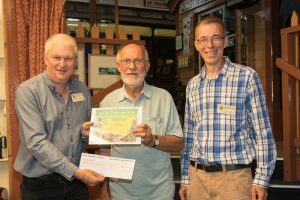 Paul Conibeare, WSR General Manager, presents Williton Station Master John Parsons with the 2018 runner up certificate in the Best Kept Station Competition, organised by WSR Chairman Ian Coleby (right).